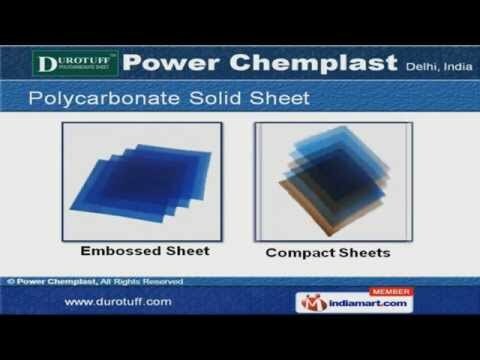 Welcome to Power Chem PlastManufacturer & Exporter of Polycarbonate SheetsWe are an ISO 9001:2008 certified company, incorporated at New Delhi. We cater to Green House, Commercial & Residential sectors across Domestic market. Our UV resistant products, Global quality standards, warranty & Sound market networks make us thefirst choice of our clients. We are engaged in offering PC Tubes, Polycarbonate Dome, Pyramid, Solid & Corrugated Sheet. Our Polycarbonate Solid Sheet are widely acclaimed in the industry for their unique features. We also offer Polycarbonate Corrugated Sheets at market leading prices. Along with that we offer Polycarbonate Dome & Pyramids that are a class apart. Our Tubes, Pipes, Batons, Lathis & Shields are fabricated using high quality raw materials. Ridges, Gutters & Ventilator Base Plates are some of our best selling products.